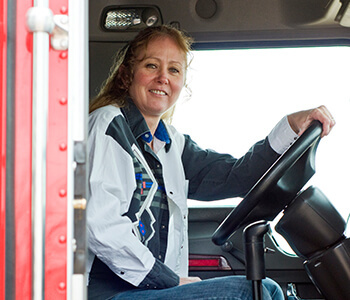 The role of driving tractor-trailer as a career option for women has grown significantly over the years. Recent statistics show that nearly 200,000 women across the United States make truck driving their career. Whether it’s due to the call of the open road, flexible schedules, job availability, competitive salaries, or another of the trucking industry’s many advantages, more and more women are choosing to get behind the wheel every year. NTTS is proud to partner with Women in Trucking (WIT) and American Trucking Associations (ATA). WIT’s mission is to bring gender diversity to transportation and encourage the employment of women in the trucking industry.